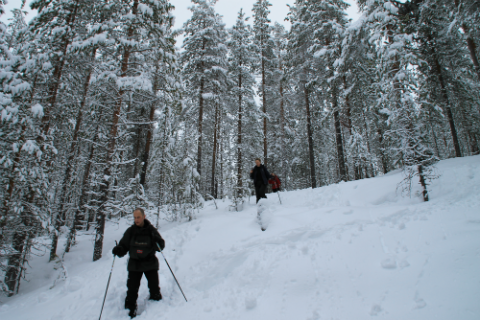 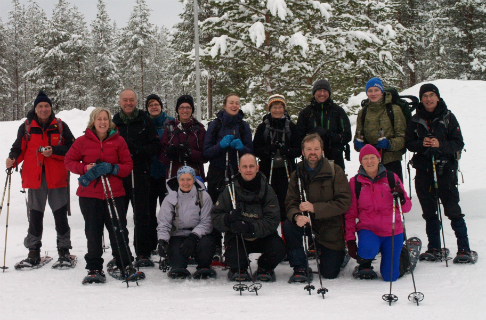 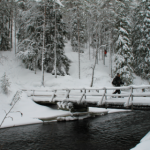 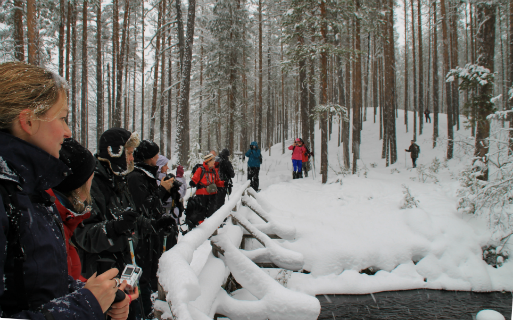 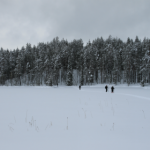 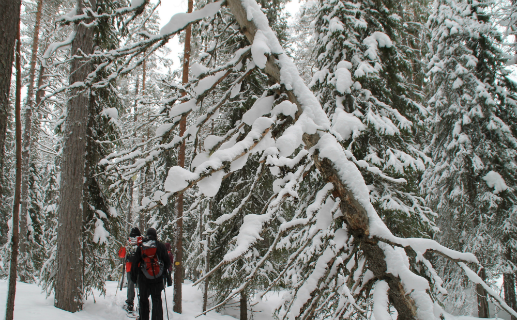 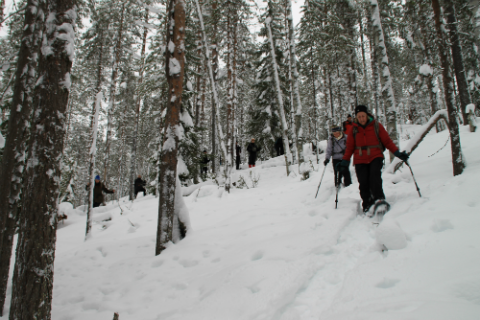 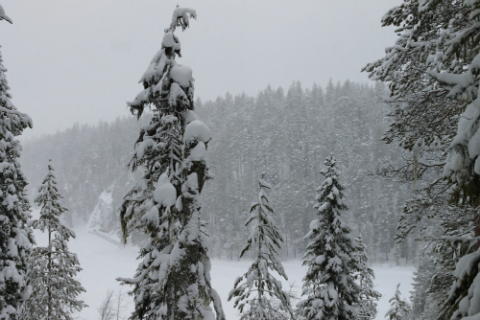 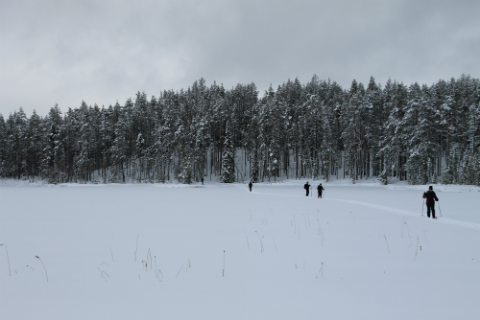 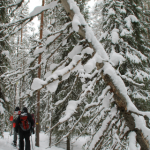 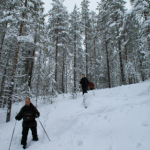 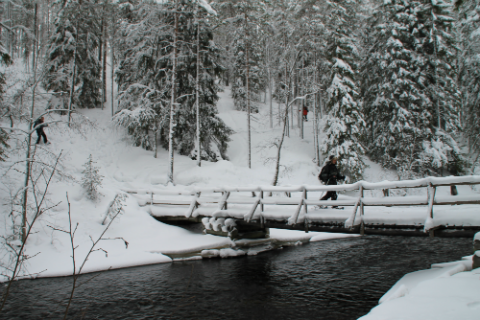 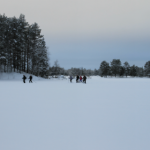 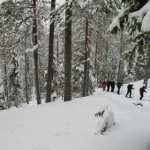 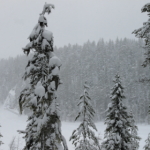 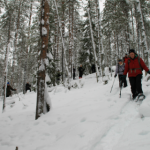 Last week included some pretty amazing snowshoeing with a nice international group. 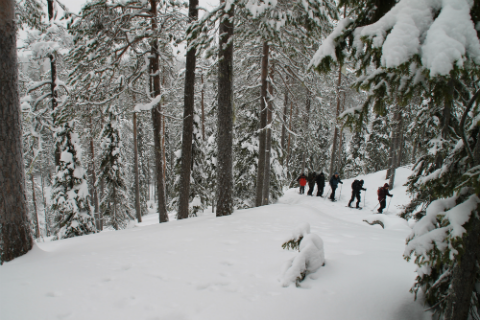 Low temperatures and thick covers of snow in the forests guaranteed that we had a whole lot of fun and were able to create some special moments together. 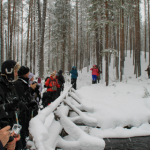 People from Netherlands, Belgium, UK and Austria enjoyed especially the nature and the environment in general, the authentic wilderness cabin nights with no electricity or running water and the heat of the sauna of course! 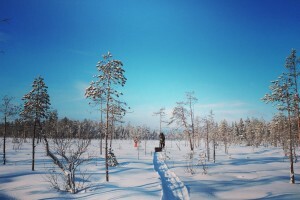 Walking through the wild, facing the local culture and its different ways of doing everyday things and being exposed to the natural environment is an effective way to get you focused on the essential and letting go of the customary; the peaceful and silent Hossa area provides a great setting for this. 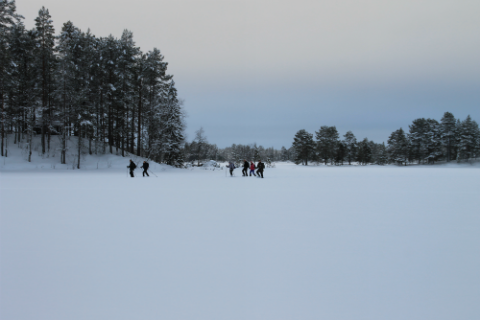 After the active part, our days were crowned by going in the sauna and having a nice dinner together. 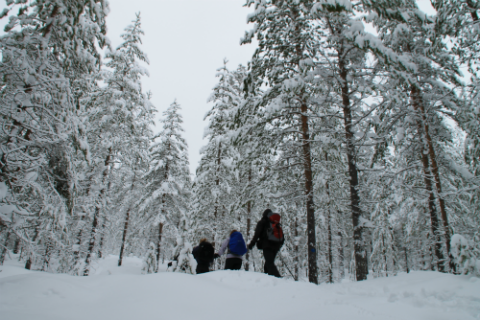 During our walks we saw wood-grouses (capercaillie), white-throated dippers, reindeers, a few Siberian jays in the spruce-dominated old forests and tracks of moose, wolverine, fox, hare and pine marten. 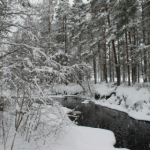 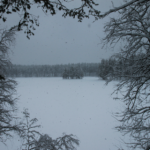 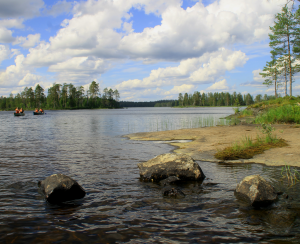 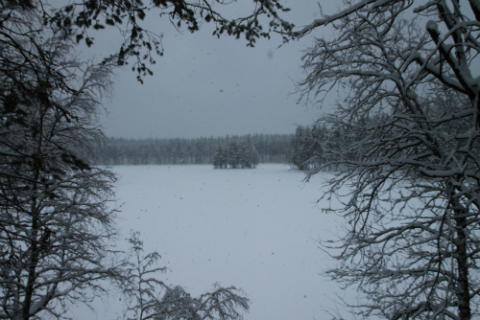 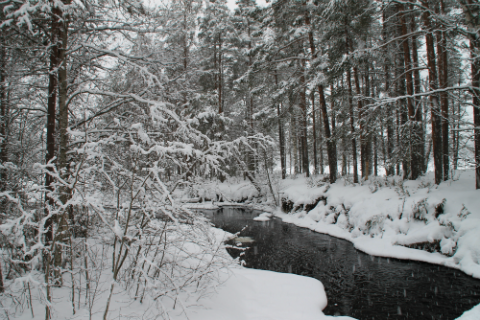 You are literally in the middle of the wild Taiga forest while you´re here! 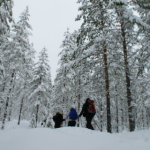 Besides that you´ll get to explore a beautiful and versatile nature travel destination, you highly support local community-based tourism on the way. 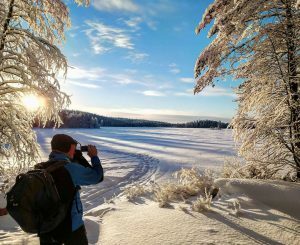 For example this week lasting tour brought straight economic benefit to six different local entrepreneurs, helping them to keep life vibrating in the communities and to continue their work in providing services for travel enthusiasts all around the world!